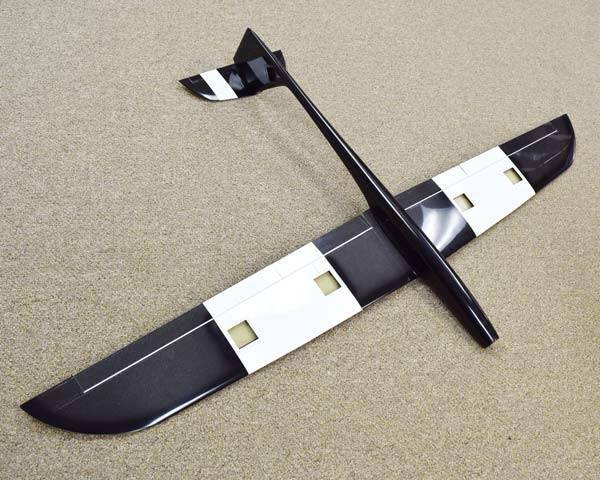 A fully molded electric glider by Sanda Models. Sanda Models is a European manufacturer that has been producing competition models exclusively for nearly two decades. We are pleased to announce that the Mini Mach line of gliders has been improved. Working closely with Sanda, we have been able to make a couple of changes to the Mini Mach. Firstly, Sanda has generously agreed to install the ball link control horns in the V-tails during manufacturing. Installing the ball links was definitely the hardest step in assembling the plane and now we no longer need to worry about it. The other major change was moving the flap hinge from the top, of the wing to the bottom. This allows the servo linkage geometry to pull the flap down to 90° without resorting to cutting the wipers or the other modifications that we needed to do with the previous generation. 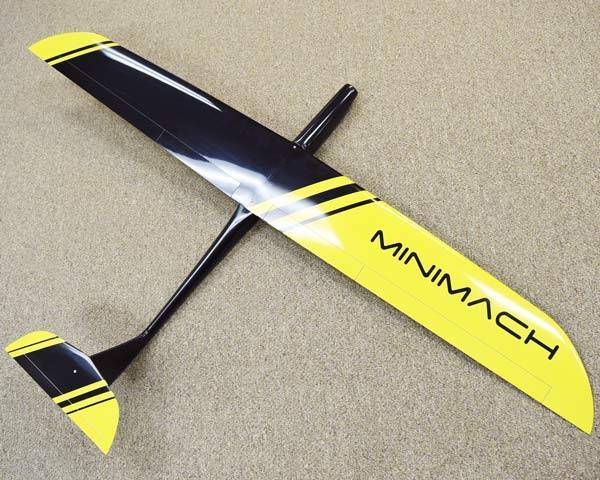 Enjoy zipping around the sky with the Mini Mach Carbon Electric glider. The slippery fuselage and stiff wing construction make for a very exciting flying experience. 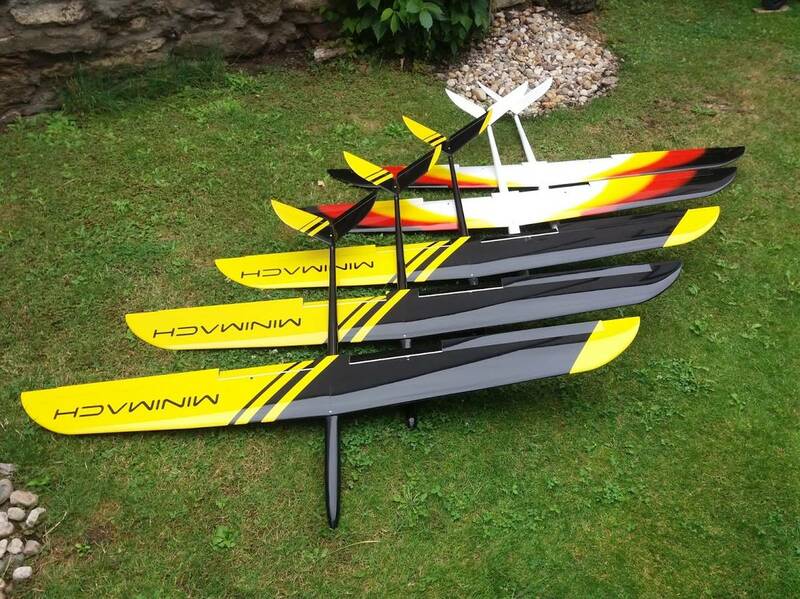 The Mini Mach wing is molded from carbon and fiberglass and the spars are reinforced with 12 carbon rovings of type 1600 TEX. 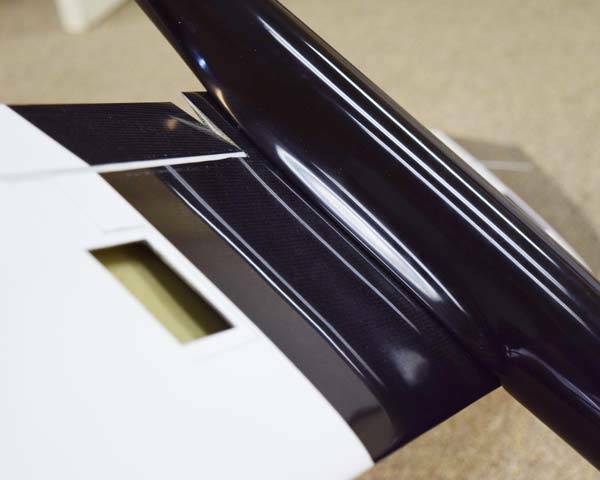 In between the layers of fiberglass and carbon is a layer of herex foam which separates the inner and outer wing skins giving them their high stiffness and resistance to torsional loads. 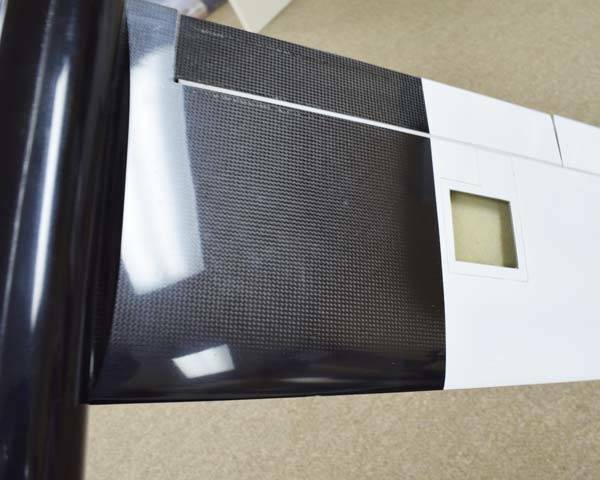 The fuselage is molded from fiberglass and reinforced with carbon tow in the high stress areas. 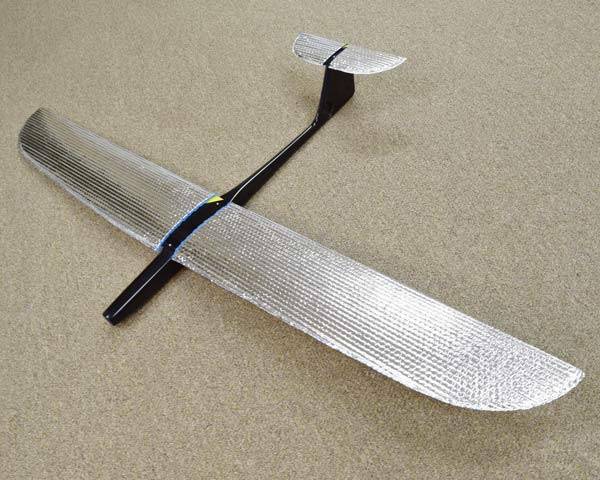 This results in a light airframe that is stiff but reasonably flexible. 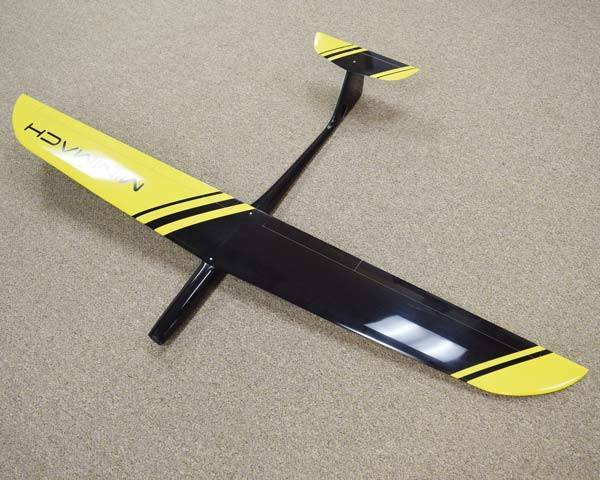 An excellent, molded composite, electric glider. Please email us for color availability.